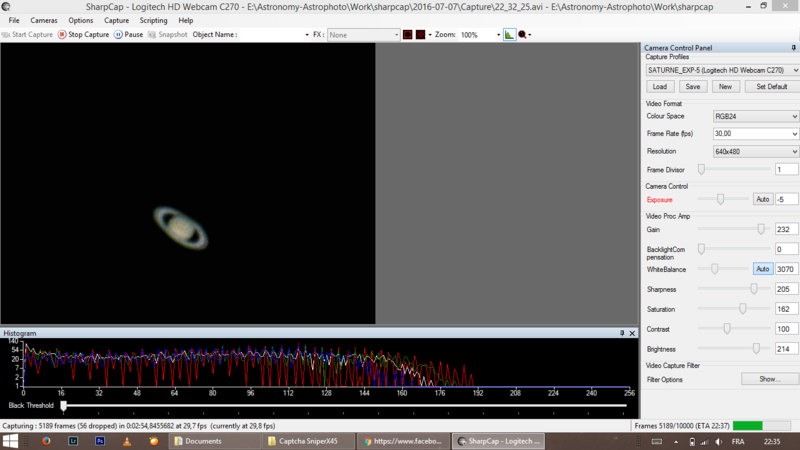 SharpCap is a simple to-utilize webcam and astronomy camera capture software. It is principally intended for astronomy and astrophotography use. The primary objectives were to be anything but difficult to use while watching and observing the sky, and to maintain a strategic distance from missteps like catching with the wrong resolution and definition or camera settings, or overwriting a current file acccidentally. Throughout the years SharpCap has developed from just a simple webcam recording software into an a great deal more thorough capture apparatus prepared to do straightforwardly controlling numerous stargazing focused and different cameras. Camera settings written to file alongside every capture – no more trying to remember what settings you used. Live histogram support, including support for 16 bits per pixel (65536 levels). Six different focus aids – Contrast detection * 2, Bahtinov, Fourier Analysis and FWHM * 2. Support for ASCOM Cameras, Focusers, Filter Wheels and Mount control. Focuser positon vs focus score graph when using ASCOM focuser. Support for running a sequence of captures : for automatic captures of celestial objects. Very helpful when doing animation of the rotation of a planet for example.